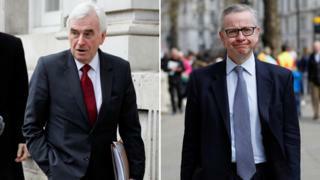 Shadow Chancellor John McDonnell said discussions with cabinet ministers David Lidington and Michael Gove had been "positive" and "constructive". EU leaders have agreed to delay the UK's departure date from 12 April to 31 October, to avoid a no-deal Brexit. Analysis: Can the Tories and Labour agree on Brexit? The UK was originally due to leave the EU on 29 March, but its departure date has been delayed twice, after the Commons rejected the withdrawal deal negotiated with the EU by large margins. The meeting between Mr McDonnell, members of Jeremy Corbyn's staff and Mr Gove and Mr Lidington lasted just over an hour. Asked if the government had moved on its "red lines", Mr McDonnell told reporters: "I'm not going into the detail of it. "We are trying to be as constructive as we possibly can on all sides... but we will see by the end of next week how far we have got." What's happened during the talks? BBC political correspondent Iain Watson has been told that the Conservative and Labour delegations have discussed some of the fine detail of the potential changes to the "political declaration" - the non-legally binding part of the Brexit deal, which sets out a blueprint for future relations between the EU and UK. 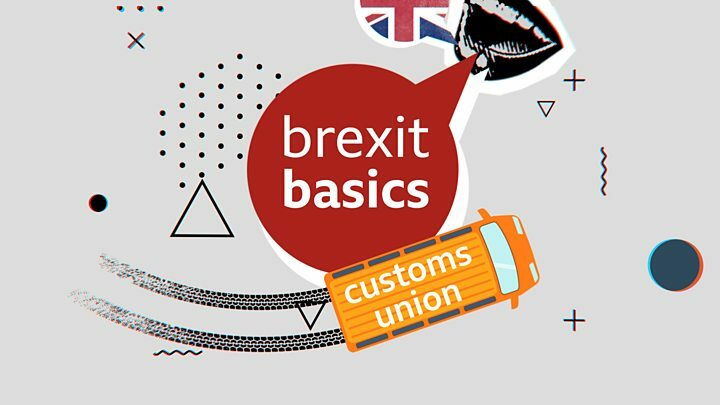 The government has repeatedly ruled out remaining in the EU's customs union, arguing it would prevent the UK from setting its own trade policy. Speaking to the BBC on Friday, Chancellor Philip Hammond said: "Clearly nobody wants to fight the European elections. Meanwhile, the government says it will "continue to make all necessary preparations" for a no-deal Brexit. A government source said "plans will evolve and adapt", but would not stop while the chance of leaving the EU without an agreement remained. The source said that a leaked message which reportedly referred to the "winding down" of no-deal preparation related only to Operation Yellowhammer - the contingency planning programme based on worst-case scenarios - and not no-deal planning in general. But the government has confirmed it is stopping Operation Brock - the contraflow put on the London-bound carriageway of the M20 in Kent - "in light of the reduced threat of disruption to services across the English Channel in the coming weeks".